What happens when you combine your renovation ideas and the expert involvement of a handyman in Geelong? Better results as opposed to DIY methods. Whether you’re doing home upgrades or repairing some stuff around your home, hiring a handyman is the way to go. With 7,000 people moving from Melbourne to the state’s second largest city in 2016-17, the rate of homeowners who’ll be needing a handyman in Geelong also increases. Do you have some minor improvement projects to discuss with a professional? Here’s what you can expect when you get yourself a handyman. Geelong is a port city in Victoria and is surrounded by bays and rivers. If you want to revamp your front fence, you can trust a handyman to handle the job with ease. 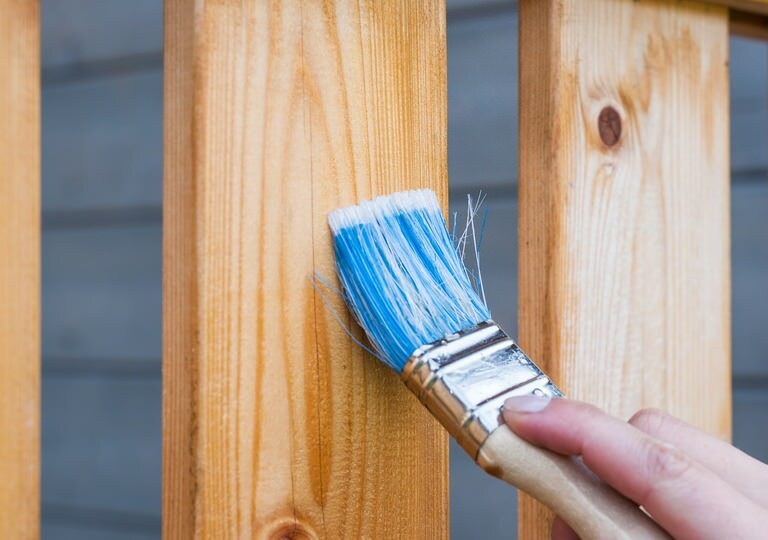 Houses near the beach are more exposed to sun’s heat and salt air so it’s important to consider the kind of paint that you’ll use for your fence painting project. Acrylic paint, in this case, is more appropriate to apply to prevent early deterioration. The best handyman in Geelong is equipped to handle other preparations such as surface cleaning and primer application to make sure it will last. Likewise, if you need to alter the appearance of your bedroom wall and ceiling, it’s essential to peel off the old paint, use a stain-blocking primer and sand the surface before the main application. Professional handymen can do the job for you to achieve a smooth finish. Painting the skirting boards, doors and picture rails are other tasks a handyman can perform to meet your needs. Ever considered a handy neighbour or a friend to assist you with fixing a broken garage door or keep your kitchen sink working well? A handyman in Geelong can even fix what your husband tried fixing! Houses near rivers are prone to flooding and erosion. Your house may run the risk of acquiring property damage if left unchecked. Your gutters also require maintenance so you need to be wary of falling leaves or debris that go straight to the gutters to ensure they’re clean and clog-free. It’s best to schedule a professional handyman who provides gutter cleaning services to avoid structural damages. Whether you need to set up a flat pack garden shed, wardrobe or bookcase, a handyman can make the process hassle-free. While it’s possible to do the job yourself, assembling the furniture requires accurate measurements and those professionals can easily determine the right calculation for that. The good thing about it is you can watch them unpack and assemble the pieces the right way. They can also teach you how to dismantle the parts if you want to move the item to a different location. If you prefer to leave the job and attend to your other needs, you have nothing to worry for they can work with little or no supervision. On another note, if your husband needs a new carport for his car or ute, there are handyman services who provide and deliver flat packs. While a manufacturer’s manual can guide you in putting the pieces together, hiring a handyman in Geelong can speed up the process and have it well-assembled. You don’t have to look for that missing screw or wait for long hours before having it completely set up. Getting a reliable tradie means you’ll have more time for your loved ones and other house chores. Whether it’s cabinetry painting, furniture or drywall repair, it’s best to invest in handyman services to help guarantee long-term results. Having the best tradesman can give you the assurance of high-quality work from consultation to completion. Looking to get in touch with a handyman in Geelong? It’s wise to ask previous clients or read online reviews to see if he’s the right fit for the job. HIREtrades can give what you need and let you have other prospective tradies to consider.